You’re reading novel Dragon-Marked War God Chapter 392 online at LightNovelFree.com. Please use the follow button to get notification about the latest chapter next time when you visit LightNovelFree.com. Use F11 button to read novel in full-screen(PC only). Drop by anytime you want to read free – fast – latest novel. It’s great if you could leave a comment, share your opinion about the new chapters, new novel with others on the internet. We’ll do our best to bring you the finest, latest novel everyday. Enjoy! The scene seemed to have completely pause, even the air felt like it was freezing up. Both Nangong Wenyang and Zhang Feng were terrified by this young man in front of them. Of course, their feelings weren’t alike, Nangong Wenyang was terrified, mixed in with surprised, because Jiang Chen was after all on his sides. However, it was a completely different feeling for Zhang Feng. Zhang Feng felt his soul trembling, he was struck by fear that came from the bottom of his heart. Just by looking at this young man in white, he could clearly feel death breathing down on his neck. He had never felt so close to death before in his entire life. He knew how powerful Li Gai’s cultivation was. Li Gai was an Early Combat Soul warrior, but even with that mighty cultivation, this young man had actually killed him with just a single strike. Zhang Feng kept examining this young man with his senses, confirming that he was truly only a Peak Divine Core warrior, not even a Combat Soul warrior. However, with just his Peak Divine Core cultivation, this young man had actually killed an Early Combat Soul warrior like he was killing an ant by pinching it. If he didn’t witness this by himself, he wouldn’t have believed it at all. Zhang Feng asked with a trembling voice. He was clearly scared now, as all his aggressiveness had disappeared. Zhang Feng firmly believed he had never met this young man before, and no one had ever told him about this guy either. However, a genius capable of easily killing a Combat Soul warrior while only a Peak Divine Core warrior must definitely be someone famous. However, Zhang Feng just couldn’t recall the Southern Continent ever having had such an incredible genius. Nangong Wentian burst into laughter. Even if they sent two Mid Combat Soul warrior here, Jiang Chen would still be able to kill them without any problems, let alone these two old Early Combat Soul men. Jiang Chen said with a calm voice as he shook his head. Indeed, his opponent had done something that couldn’t be forgiven, as Jiang Chen would never let any of his enemies go, especially those enemies who have tried to kill him and his brothers. After leaving behind some threatening words, Zhang Feng moved his body and transformed into a trail of light, and started flying into the far distance. He had clearly failed this mission, as even Nangong Yunzheng didn’t expect such a young genius to be following Nangong Wentian. Faced with such a situation, the only option left for him was to run away. Furthermore, Zhang Feng had a feeling that even if he couldn’t defeat this young man, he could still easily escape with his Combat Soul cultivation. If anyone told him that a Combat Soul warrior was unable to escape from a Divine Core warrior, he would think it was just bulls.h.i.+t. But too bad, what he thought to be bulls.h.i.+t was actually true. Zhang Feng was really unlucky, as he had met Jiang Chen. Right as Nangong Wenyang felt that Zhang Feng was going to run away with easy, Jiang Chen suddenly shouted and stretched his arm forward, unleas.h.i.+ng a gigantic blood red dragon claw that descended from the sky above. The blood red dragon claw was fully covered with dragon scales, and looked like a real dragon’s claw. It produced cracking sounds and a large amount of sparks as it went toward Zhang Feng. The void surrounding them was trembling because of the attack. The True Dragon Palm transformed into an indestructible cage, instantly trapping Zhang Feng who was running for his life. Zhang Feng cried out in shock as an extremely terrified expression emerged onto his face. Before he could unleash any strikes at the dragon claw, he immediately felt a powerful energy pressure bursting out from within the dragon claw, squeezing him from all directions like gigantic mountains. Even with his Early Combat Soul cultivation, there was no way he could withstand this tremendous force. He was instantly smashed down into the ground from about 30 meters into the air, causing him to throw up a mouthful of blood. The True Dragon Palm continued following Zhang Feng without disappearing, and soon covered his entire body once more and squeezed at him with a deadly force. Soon, his bones started producing cracking sounds, and his expression twisted. Right at this moment, Zhang Feng could finally feel death breathing down his neck. He had never been so close to death before. In fact, this was the first time in his entire life he had truly feared death. Zhang Feng was truly terrified, and immediately begged for his life. No one wanted to die, especially a mighty Combat Soul warrior like Zhang Feng. It hadn’t been easy for him to cultivate to his current level. Jiang Chen was a merciless man whenever he faced his enemies. Zhang Feng’s words didn’t touch him at all, he simply made the True Dragon Palm squeeze down tightly, and following the miserable shriek that came out of Zhang Feng’s mouth, the old man was crushed into a blood mist, and died miserably. After killing the two old men, Jiang Chen returned to his normal state. Or more correctly, his form hadn’t changed at all. He fought with a hand placed behind his back and a faint smile covering his face. It was as if he had just killed two chickens, not humans. There were no fluctuations in his emotions. Nangong Wentian said in a joking manner. However, it wasn’t hard to tell how grateful he was from his words. Nangong Wenyang on the other side was still immersed in extreme shock. Two Combat Soul warrior had just been killed in such an easy manner, what he thought to be a life threatening situation was nothing serious. This caused Nangong Wenyang to feel as if he was in a dream. He kept staring at Jiang Chen who still wore a faint smile on his face. It was really difficult to imagine how this innocent looking young man could be so fierce and brutal when attacking. Nangong Wenyang was not an idiot. From the calm expression Jiang Chen portrayed when killing the two men, he knew that this young man in his mid-teens had gotten used to slaughtering. Nangong Wenyang felt really sorry for what he had previously said, he even wished he could deliver himself a slap, as he had eyes but failed to see the mighty person standing in front of him. This young man was an amazing genius, but he had actually looked down on him. He was truly feeling ashamed for how he had behaved. Jiang Chen patted Nangong Wenyang on the shoulder. Jiang Chen’s straightforward character made a bright smile blossom onto Nangong Wenyang’s face. His impression toward Jiang Chen once again changed tremendously, it had now changed from a negative impression to an extremely positive one. Jiang Chen not only saved Nangong Wentian’s life, he saved his as well. If not for Jiang Chen, those two old men would definitely kill him, as well as the white eagle after killing Nangong Wentian. However, although Jiang Chen had showed his incredible strength, Nangong Wenyang still didn’t think he was fit to represent the Nangong family in the third fight, because the mighty warrior Nangong Yunzheng had hired would definitely be much stronger than Zhang Feng. Of course, Nangong Wenyang didn’t reject the idea either. He was not a person who could make that decision. In the end, everything would be decided by the Nangong family’s leaders. After getting rid of the obstacle, the three men continued their journey toward the Nangong family at high speed. After an entire day and night of flying, they had finally returned to the Nangong family. This time, no one had stopped them. It was a huge and majestic city, and it covered a circ.u.mference of over 500 kilometers. Looking at it from the outside, the city was filled with tall towers and buildings, as well as beautifully decorated palaces that gave a touch of magnificence to the entire Nangong City. No doubt, this city could be considered one of the best cities in the Southern Continent. Actually, a long time ago, the city’s name wasn’t the Nangong City. It was only renamed to Nangong City after the Nangong family gained power. Within the city, the Nangong Family was the ultimate ruler. Put it this way, if the Nangong family casually farted, the entire city would be in turmoil for three days. There were many powers residing within Nangong City, but all of them were under the Nangong family’s control. As long as the Nangong family gave out an order, no one would dare disobey. The three men quietly descended outside the Nangong family’s north gate. The white eagle that had been following this group had gone its separate way upon entering the city. Jiang Chen nodded his head. In fact, right as they arrived at the city, he had sensed a restless atmosphere lingering within the city. This grand and majestic city was not as peaceful as it seemed, the undercurrent was strong. Six tall and muscular men stood on both sides of the north gate. When they saw Jiang Chen and the other two, they immediately stopped them. Nangong Wenyang walked forward and shouted at the leader of the guards. Only now did the guard see who the man who shouted at him was. He was instantly frightened, and kneeled down onto the ground. The guard’s body was covered in sweat. He was just the leader of a small group of Nangong family guards. Compared to Nangong Wenyang who was one of the family geniuses; he was nothing! Nangong Wenyang coldly harrumphed. After that, he made a welcoming gesture toward Jiang Chen and Nangong Wentian, then led both men into the city. All the guards were kneeling down with heads lowered, so none of them were able to see that Nangong Wentian was one of the men that came. If not, they might even be terrified, because the Nangong family’s young master was an existence who could do anything he wanted in Nangong City. Nangong Wentian explained, in Nangong City, the Nangong family was the true emperor, no one could disobey their rules. You're reading novel Dragon-Marked War God Chapter 392 online at LightNovelFree.com. You can use the follow function to bookmark your favorite novel ( Only for registered users ). If you find any errors ( broken links, can't load photos, etc.. ), Please let us know so we can fix it as soon as possible. And when you start a conversation or debate about a certain topic with other people, please do not offend them just because you don't like their opinions. You're reading Dragon-Marked War God Chapter 392. This novel has been translated by Updating. 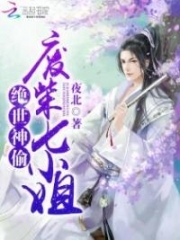 Author: Su Yue Xi already has 14246 views. Current Time is Apr-26-2019 16:31:01 PM.